I usually make soups about now. Very satisfying lunch instead of the usual bread and cheese I eat because there is nothing else or I’m too lazy to put anything together. I pull out my recipes and start organizing what to buy. But I went shopping before I did this and fortunately spotted this beautiful head of cauliflower and thought, “oooh, cauliflower soup!’. I flipped through my recipes thinking I had one but came up with nothing. This is one I found on Epicurious and I think it’s pretty delicious. 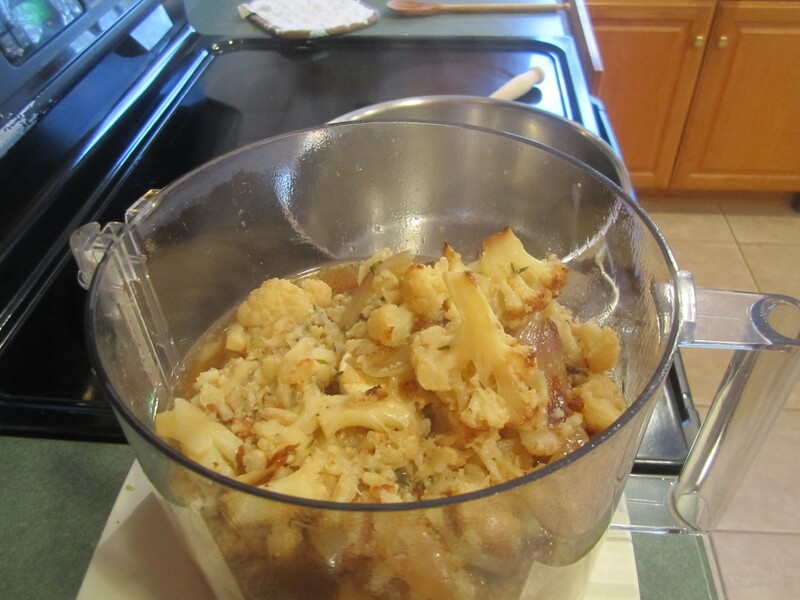 It’s mild and slightly sweet and if you like cauliflower the flavor is right on. I made a few changes but really followed the recipe exact. 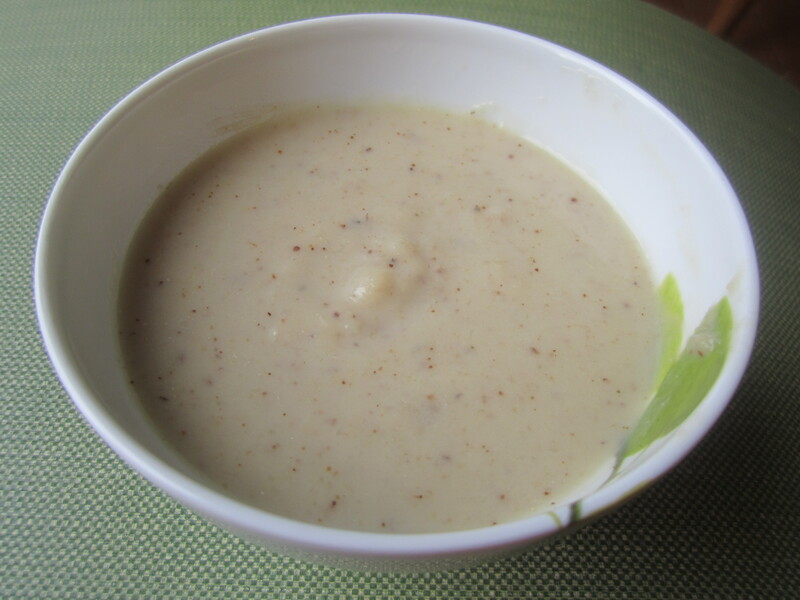 There are a ton of reviews with some great suggestions, maybe for future soups. 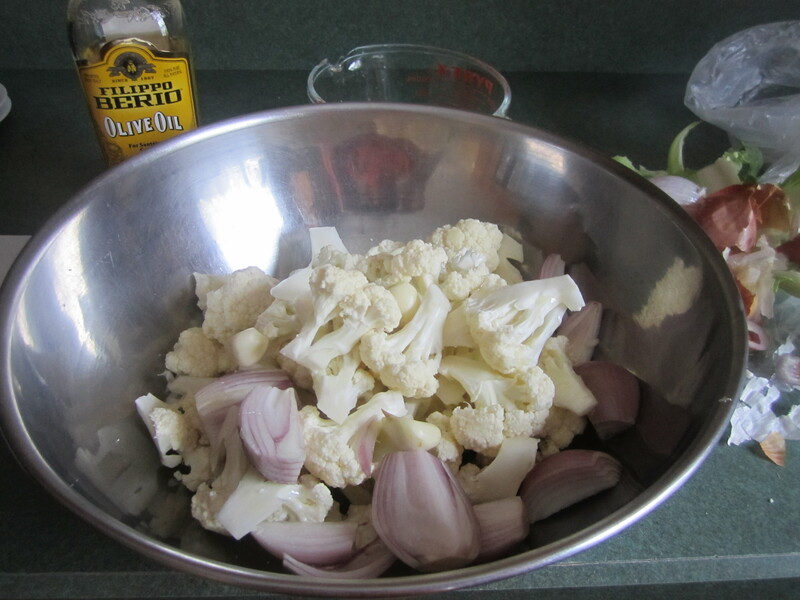 Cut cauliflower into small florets, you should have about 10 cups, and place into a very large bowl. Add garlic and shallots and toss everything together with the olive oil. 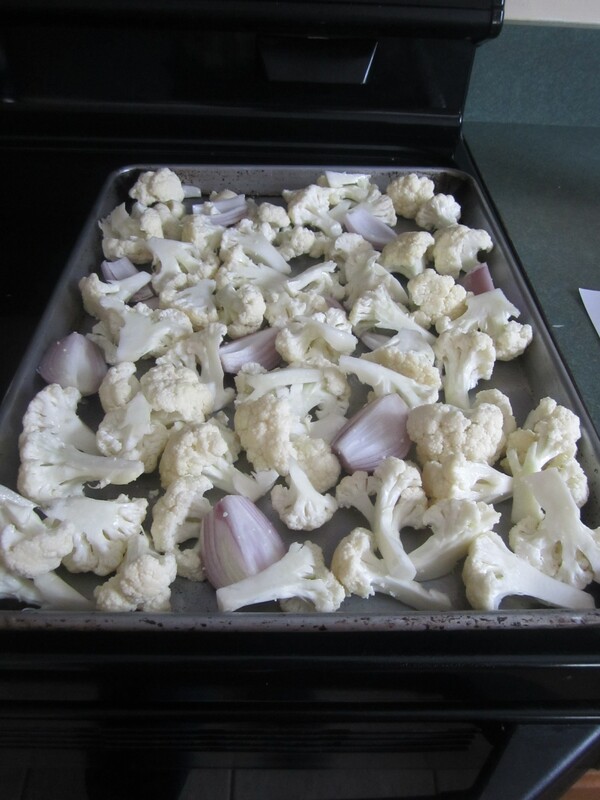 Place onto a large rimmed cookie sheet, sprayed with canola oil. Bake for 30 minutes, tossing everything around a bit with a metal spatula half way through. 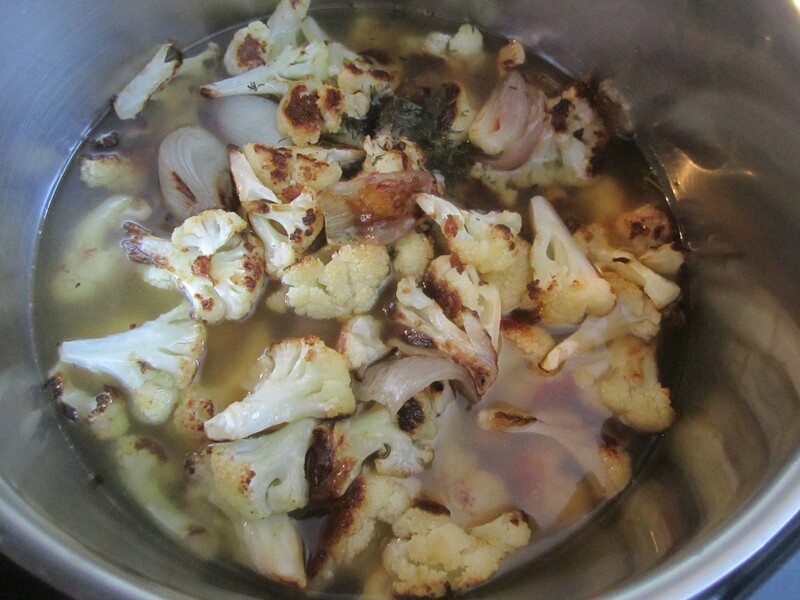 Place cauliflower mixture, chicken broth and thyme into a large 4-6 quart saucepan, and bring to a simmer over medium heat. 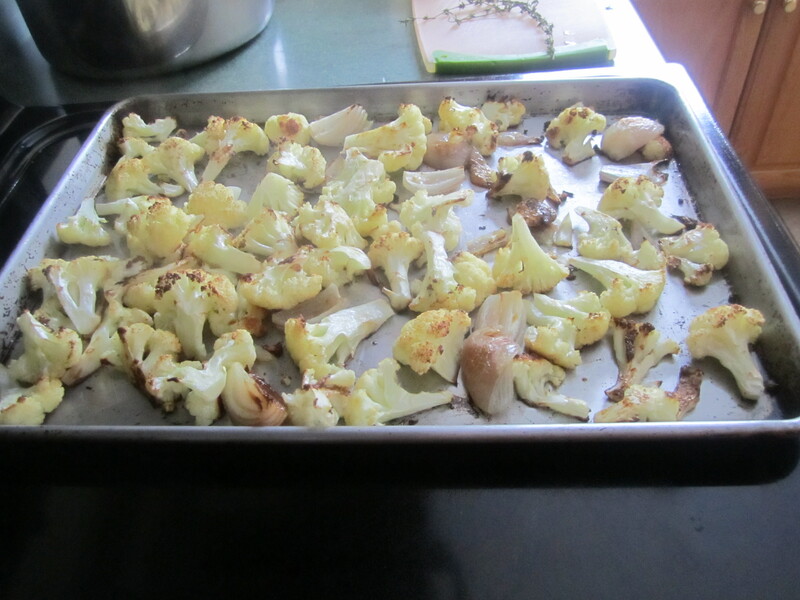 Let cook for 25-30 minutes until the cauliflower is very tender. 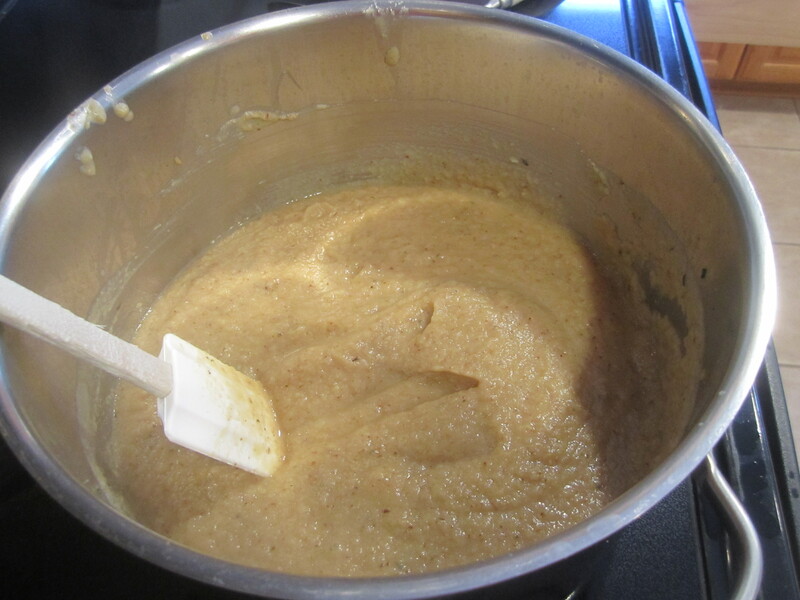 Take mixture when done and carefully place into a food processor, (if you only have a blender, process small batches, putting them into the large bowl until finished) and process until smooth. (it’s hot so be careful!) 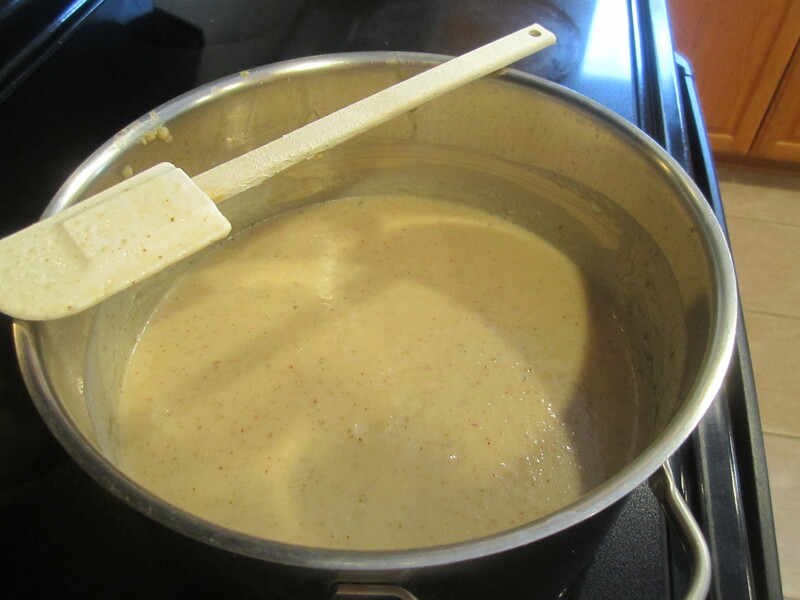 Return soup to saucepan and add milk and salt (and pepper to taste if you like). Stir to combine. 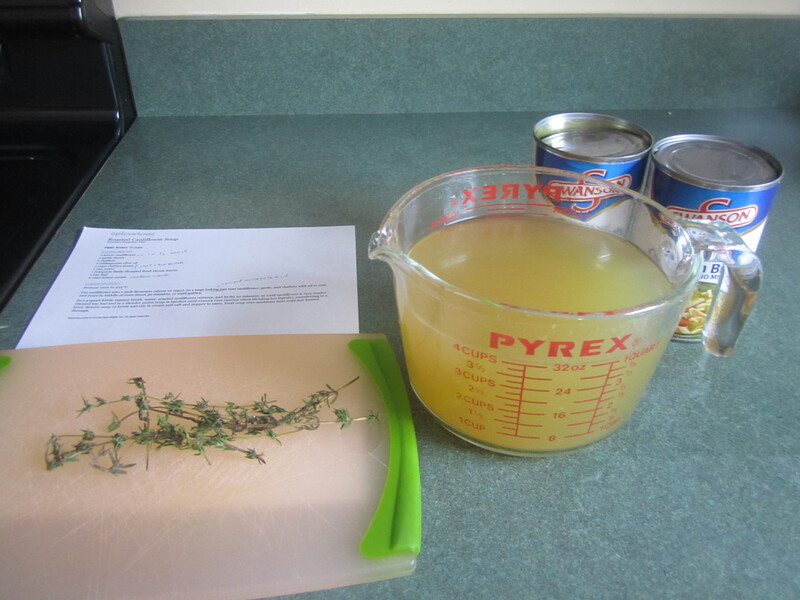 At this point you can reheat the soup very gently over medium heat and serve or just divide among containers and refrigerate. When cool they can be placed in the freezer for future eating!